I have been a solo practitioner since 2007 and my practice has had experience in a number of legal areas. I have extensive experience with residential real estate transactions, representing both buyers and sellers. I also have a background with corporate formation and other corporate documents. 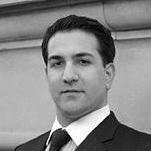 "Anthony came highly recommended, and was hired for the closing of my NYC apartment. Anyone who knows NYC real estate knows it is NOT easy. Working with Anthony was great! He was knowledgeable, diligent, and always there to answer my many questions. Throughout the process, Anthony constantly looked out for my family’s best interest. Anthony truly made the daunting task a very positive experience. I will definitely hire Anthony for any future legal actions I might need." "Anthony assisted me on my home purchase at the end of 2015. We had many questions during the whole process and Anthony was always a phone call or email away. His service went above and beyond what we expected from our attorney. We highly recommend his services."